Wales host Austria in a crucial World Cup qualifier match on Saturday night, as both teams need three points to stay within reach of group leaders Serbia and Ireland. 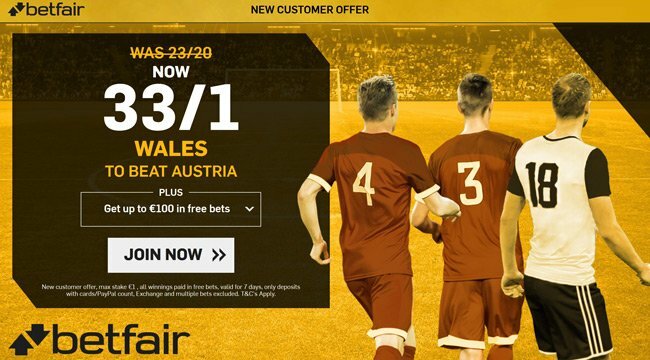 Read below our Wales v Austria match predictions, betting tips, starting line-ups, team news, enhanced odds and no deposit bonuses on this weekend's football! Wales are struggling to pick up three points from anywhere at the moment, sitting third in the group table, four points behind group leaders Serbia. The Dragons began their Group D campaign in fine style with a 4-0 home victory over Moldova but they have drawn their last five World Cup qualifying matches. The sides drew 2-2 in Vienna last October in their first meeting as Marko Arnautovic twice equalised for the home side in a match the Austrians dominated. 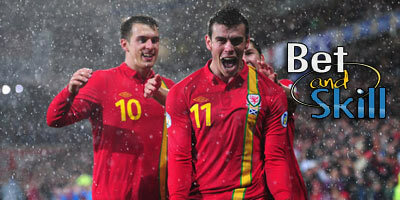 Gareth Bale is available after a one-match ban but midfielder Joe Allen and left back Neil Taylor are both suspended. Aaron Ramsey is set to play on Saturday despite missing training, joining the clubless Joe Ledley in midfield. Sam Vokes and Hal Robson-Kanu have both been on target for their respective clubs in the opening weeks of the Premier League season and are in contention for the lone striker berth. 16 year old Ethan Ampadu is also included after moving from Exeter to Chelsea. Austria were expected to do well in Group D, having dropped just two points in qualifying for Euro 2016, but Marcel Koller's men are almost in the exactly same position as Wales, as they have also collected 8 points from their first 6 qualifiers. They have drawn three and won one of their last four games, most recently holding joint group leaders the Republic of Ireland to a 1-1 draw in Dublin. They have managed to find the net in six of these eight games, but defensively problems have arisen and they have only kept two clean sheets. Captain Marc Janko and midfielder Marko Arnautovic aren't in the visiting squad. Defenders Maximilian Wober of SK Rapid and Rubin Kazan’s Moritz Bauer have been called for the first time in the national team. Former Cardiff City forward Guido Burgstaller is out through injury and reports in Austria suggest Stefan Hierlander, of SK Sturm Graz, will be the replacement for 11 times capped Burgstaller. Alar and Gregoritsch are other viable alternatives up front. 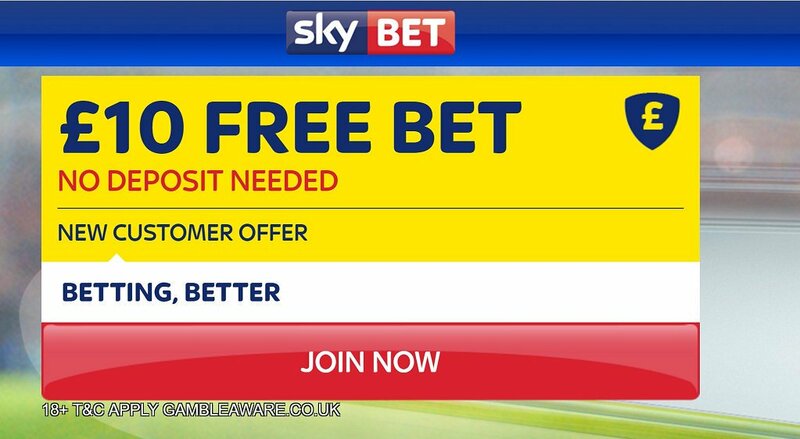 "Wales v Austria predictions, betting tips, lineups and free bets (World Cup Qualifiers - 2.9.2017)"